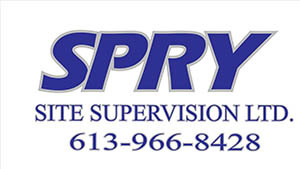 Thank You to Spry Site Supervision for Sponsoring our Team! The Spry Site Supervision Atom A Bearcats completed the triple crown of girls hockey on the weekend winning the Provincial Championship. The Bearcats previously won the International Silver Stick Championship and Lower Lakes Championship, putting them just one major championship away from the triple crown. The Spry Site Supervision Atom A Bearcats are Golden once again! The Spry Site Supervision Atom Bearcats meet Jayna Hefford. Spry Site Supervision Atom Bearcats Win Gold at Home!